R5 Gives Patients Advice About Following Their Dreams! 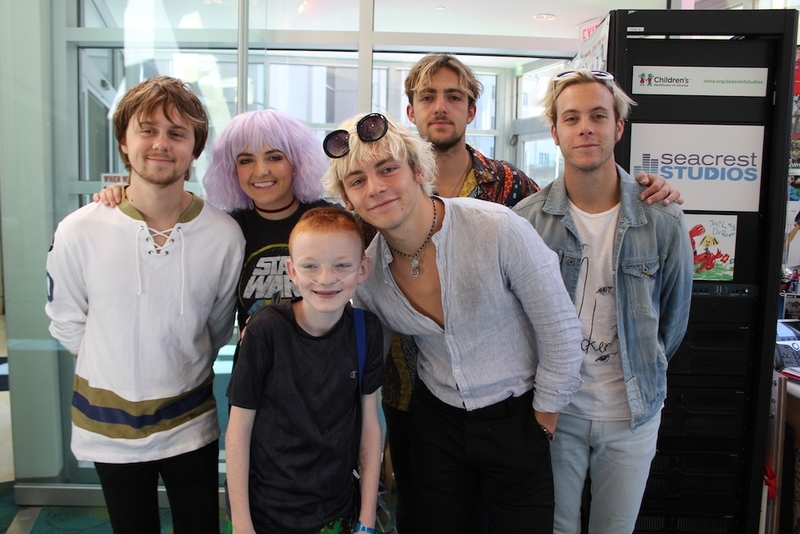 Written by Seacrest Studios Intern: Brittany Wade Patients and families welcomed R5 to our Seacrest Studios at Children's Healthcare of Atlanta! During their interview, they talked about how the fans love their new, self-produced album, and they said the best part about being in a band with your siblings is being with each other all the time. Ross talked about how much fun he had on the set of "Austin and Ally" while also making music with the band. R5 performed their hits "If" and "Smile." The band even invited a patient to sing a song from "Austin and Ally" with them! When asked for any advice they would give to our little stars in the hospital, they replied, "Practice hard and play because you love it." Patients loved getting to meet and take pictures with the band. We loved having R5 in the studio and we look forward to their next visit!